Joyce M. Ziffer went home to be with our Lord and savior Jesus Christ. Mom fought the good fight until she was finally called home. She is survived by her mother, Florence Paige, her brother; Dennis and wife Debbie Houghton, her sisters; Denise and husband Chris Shannon, and Karen and husband Joe Plante. Her children; Frank and wife Kyong Ziffer Jr, Charles and wife Dani Ziffer, Patricia and husband Michael Evans, and Paul Ziffer; her grandchildren; Natasha, April- Joyce, Kathalina, Zachary, Hannah, Dakota, Charley- Ann, Crystal, Ryan, Sarah, Noah, Becca, Johnathan, April, Amber, MacLaine and Suri. Also her great grandchildren; Aydin, Melody, Dean, Jude, Adeline, Maiven and Thomas. She was preceded in death by her natural father, Charles, her Dad, George Paige and grandchildren; Brandon and Judah. 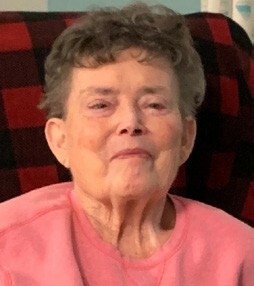 Friends and family are welcome to attend the memorial calling hours for Joyce on Friday, Feb. 8, 2019, from 2 pm until 5 pm at the Dwyer Funeral Home, 23 South Street, Patterson, NY 12563. In lieu of flowers, Joyce’s family has requested contributions in her memory may be made to the American Lung Association, 237 Mamaroneck Ave # 205, White Plains, NY 10605. www.lung.org.